NEW YORK TIMES BESTSELLER • The riveting inside story of three heroic astronauts who took on the challenge of mankind’s historic first mission to the Moon, from the bestselling author of Shadow Divers. 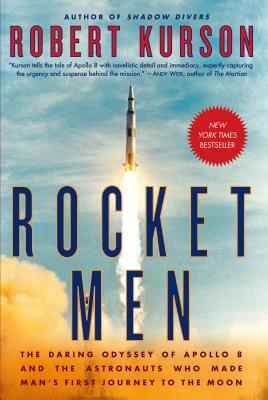 Drawn from hundreds of hours of one-on-one interviews with the astronauts, their loved ones, NASA personnel, and myriad experts, and filled with vivid and unforgettable detail, Rocket Men is the definitive account of one of America’s finest hours. In this real-life thriller, Kurson reveals the epic dangers involved, and the singular bravery it took, for mankind to leave Earth for the first time—and arrive at a new world.